Glycemic index, or GI, is a measure of how quickly a food raises your levels of blood sugar. Eating lower-GI foods tends to sustain your energy levels as these foods digest more slowly. 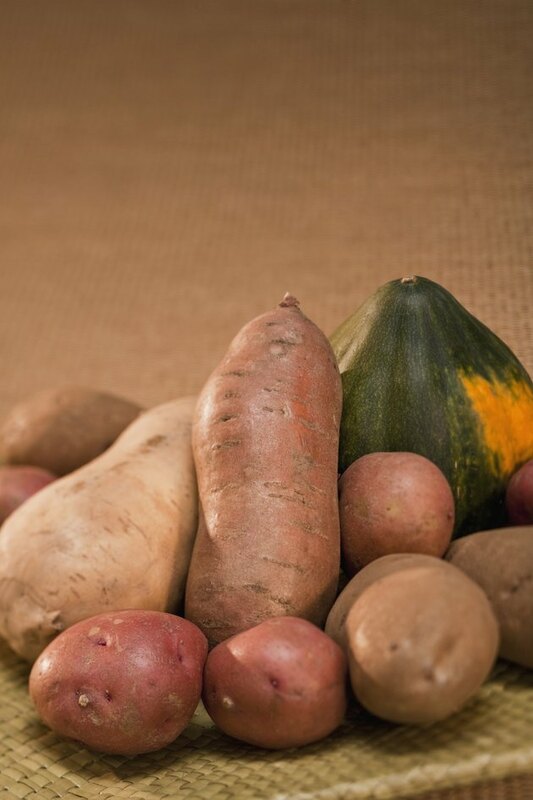 Since sweet potatoes have a lower glycemic index and glycemic load than white potatoes, they're a better choice for your pre-workout meal to help give you that boost needed to push through a hard session. Sweet potatoes are loaded with fiber. Trainer Steven Stiefel writes on the Muscle and Body website that bodybuilders ignore fiber at their peril. Fiber is essential for helping to control appetite, burn fat, maintain healthy digestion and build muscle. A 1-cup serving of sweet potatoes contains about 8 grams of fiber. Potassium is a mineral that plays a big role in muscle control, electrolyte balance and nerve function. Athletes and others involved in intense training generally need more potassium than an average sedentary person, according to the Colorado State University Extension service. The average adult needs 4,700 milligrams of potassium daily; one large sweet potato provides around 694 milligrams, which amounts to roughly 15 percent of the minimum intake. Precision Nutrition: Sweet vs. Regular Potatoes: Which Are Really Healthier? Muscle &amp; Body: Fiber Pump! Why Are Potatoes Good for Bodybuilding? What Helps a Body Absorb Potassium?